My firm specializes in protecting the rights of business policyholders in liability insurance disputes. I have successfully represented Montrose Chemical Corporation, Navistar International, Chris-Craft Industries, Staefa Control Systems, Pacific Coast Communities and other business entities in several landmark cases that have helped establish, shape, and protect policyholders’ rights in California. Perhaps most notably, in 1994, the California Supreme Court ruled in favor of my client, Montrose Chemical, in adopting a “continuous trigger” of coverage when a policyholder faces liability for alleged property damage or bodily injury spanning multiple policy periods. I am an experienced trial attorney who is committed to vigorous client advocacy. I have practiced law in San Diego for all 23 years of my professional career, and I have consistently been AV peer-review rated by Martindale-Hubbell for the highest standards in legal professionalism and performance. During the 1990s, I served as a partner and head of the insurance practice group in the San Diego office of Latham & Watkins. In 2001, I accepted a position an assistant united states attorney for the Southern District of California. As a federal prosecutor, I secured criminal convictions in all 20 of my jury trials and was never overturned on appeal. I left the public sector to start my own law firm in 2004. For the past 10 years, my firm has successfully provided cost-effective legal representation to clients who seek personal attention and premier service at an affordable price. I have served as chair of the insurance/bad faith section of the San Diego County Bar Association. 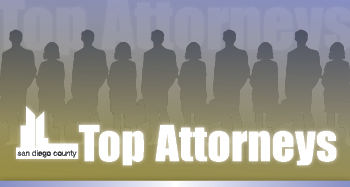 I am a member of the Top 100 Trial Lawyers, National Trial Lawyers Association, Super Lawyers, State and County Bar Associations, the San Diego Association of Business Trial Lawyers, and the National Association of Criminal Defense Lawyers. I was raised in the Adirondack Mountains of upstate New York (population 400, counting beaver and trout). There, I developed a lifelong passion for contract bridge, backgammon, and various other games of skill. I have won a number of national bridge and backgammon titles and, for a brief time, was the No. 1 backgammon player in the country. Most recently, I served as captain of the U.S. backgammon team that took the bronze medal among 42 countries in the 2012 Nation’s Cup World Championships. My competitive streak and love of games -- coupled with the equanimity required to raise two teenage boys -- has helped forge a certain perspective, skill set and discipline that I believe is of great advantage to my clients.